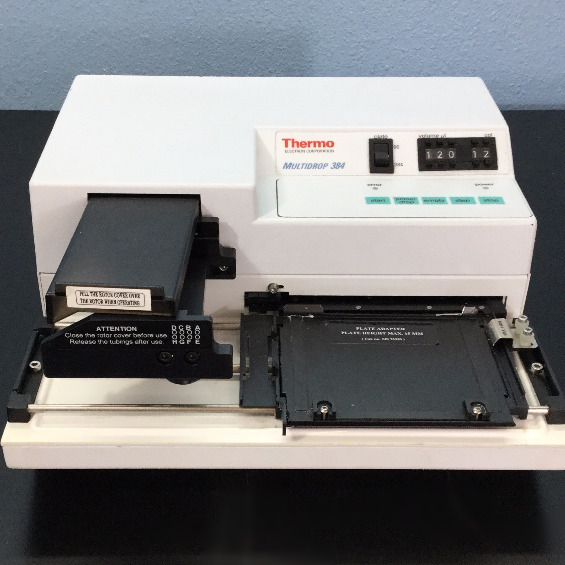 The Thermo Electron Corporation Multidrop 384 Type 832 Microplate Dispenser has a peristaltic pump for rapid and continuous dispensing of liquids into 96 and 384-well microplates. 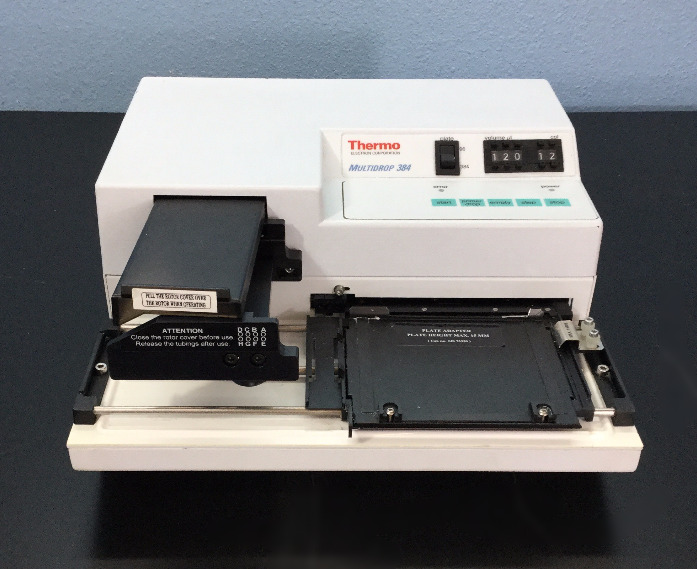 This multidrop is an automatic, programmable, eight-channel microplate dispenser. 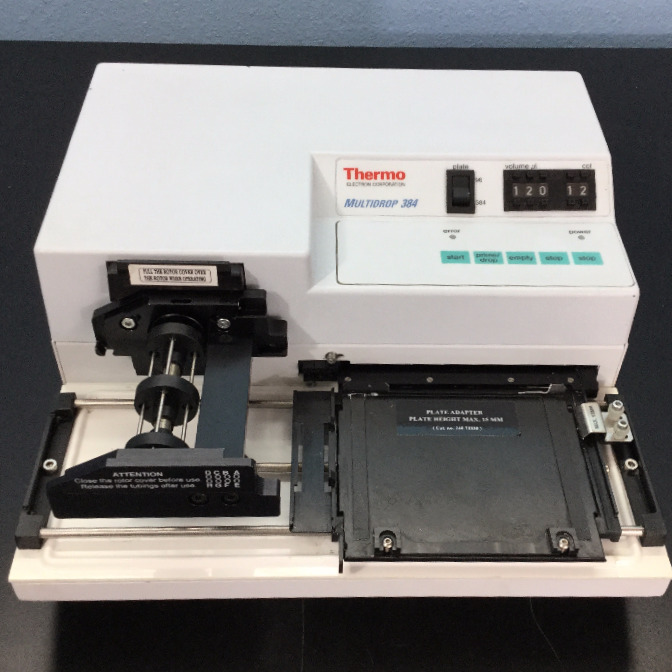 This multidrop can dispense 1 to 8 different reagents from external liquid reservoirs into different rows. 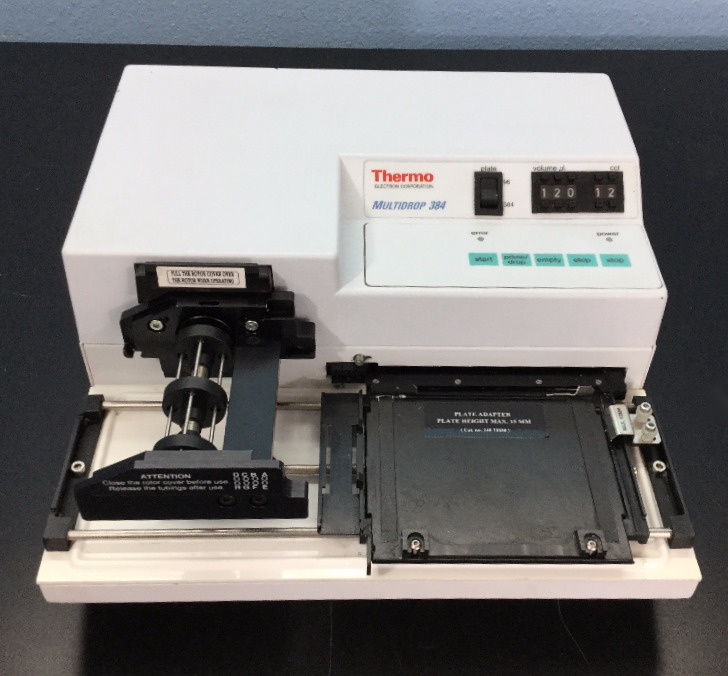 The microplate dispenser can be used in microtitration techniques, for example, in the fields of bacteriology, cell biology, hematology, immunology, toxicology and virology.